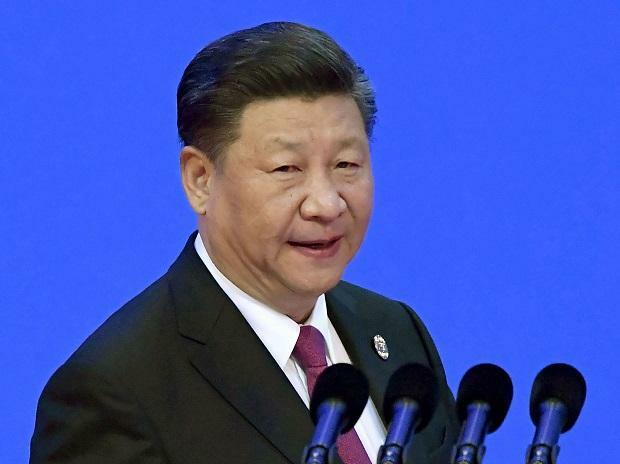 Chinese President Xi Jinping ordered the army to enhance its combat readiness to make sure it is always ready for a battle, saying risks and challenges are on the rise as the world is facing a period of major changes never seen in a century, state media reported Saturday. The People's Liberation Army (PLA), the world's largest with two million troops, last year doubled the training period for new recruits from three to six months in a bid to improve their combat capabilities. President Xi, who also heads the PLA besides the ruling Communist Party, told a meeting of the Central Military Commission (CMC), the overall high command of the Chinese military, that "the world is facing a period of major changes never seen in a century, and China is still in an important period of strategic opportunity for development". Xi is the Chairman of the CMC. He is the only civilian in the high-power military body comprising top defence officials. Preparedness is vital in the era of drastic changes, unpredictable risks, Xi said Friday, official media reported. He ordered the armed forces to continue strengthening their combat preparedness and to make sure they are always ready for battle, state-run China Daily reported. The entire armed forces should have a correct understanding of China's security and development trends, enhance their awareness of danger, crisis and war, and make solid efforts on combat preparations in order to accomplish the tasks assigned by the CPC and the people, Xi said. Regarding combat capability as the only and fundamental criterion, Xi ordered all work, forces and resources to focus on military preparedness and ensure a marked progress in this regard, state-run Xinhua news agency reported. Party and government departments and agencies at the central and local levels are required to support the defence and military development, he said. Xi signed Friday an order to open the annual training session of the armed forces. The order demands that troops hone their combat capability and that military units organise events on a regular basis to verify soldiers' ability. The armed forces must also strive to strengthen their readiness to respond to emergencies. Commanders must take the lead in studying the art of war and also must be the first to carry out training and exercises, according to the order. Exercises must be conducted based on real combat scenarios and should involve the simulation of complicated situations and the deployment of multiple weapons and equipment from different services, it stipulates. His call for battle preparedness came as acting US defence secretary Patrick Shanahan told the US forces that he sees China as a key priority. "While we are focused on ongoing operations, Acting Secretary Shanahan told the team to remember China, China, China," reports from Washington quoted a US defence official as saying. Besides launching the ongoing trade war to force Beijing to cut the USD 375 billion trade deficit, US President Donald Trump has been increasing pressure on China on a host of fronts including North Korean leader Kim Jong-un to relent and give up nuclear weapons programme. The US has accused China of military and economic espionage and termed Xi's pet project Belt and Road Initiative to fund infrastructure projects as an attempt to coerce smaller countries with debt trap. Chinese officials as well as trade bodies were deeply concerned over the continued trade war with the US as Washington has already imposed additional tariffs on over USD 250 dollars of Chinese exports. China too retaliated in equal measure. Both sides agreed on a truce till March 1 as officials hold talks to narrow down the differences. Since he took over power in 2012, Xi, who is now regarded as the President for life, has been pushing the PLA to enhance its combat capability with real time military drills. With over USD 175 billion defence budget, the PLA is also focussed on massive modernisation, specially the expansion of the navy with two aircraft carriers to increase its reach far from the shores of China.